We are looking for an intelligent, sharp and talented Software Engineer to join a highly complex and innovative technology organisation in Central London. You will be working alongside a cross-functional, data focused team of engineers and scientists, working on a variety of highly technical and challenging projects with a technology stack featuring Scala, Spark, Big Data and NoSQL. The ideal person for this position will have a passion for solving complex problems with an analytical and mathematical mind. It is a bonus if you have worked within a data focused environment or have an interest or passion for working with analytics. The key requirements for this position are that you have worked extensively and can demonstrate excellent Scala coding skills and have experience and/or knowledge with Spark, NoSQL, Hadoop and NoSQL. It is essential for this position that you have an excellent educational background in Mathematics, Computer Science or similar degree and can demonstrate a passion for Computer Science. We are looking for people involved in the wider community, always looking to enhance their skillset and learn new skills. This is a fantastic opportunity to work on a variety of highly technical, fast paced projects within a world class and intelligent technical team. The team are passionate about technology and being at the height of what they do, known for making ground breaking technical discoveries, if this is the type of environment you are looking to join, please apply below. Please note that no terminology in this advert is intended to discriminate on the grounds of age, and we confirm that we will gladly accept applications from Scala Engineer of any age for this role. 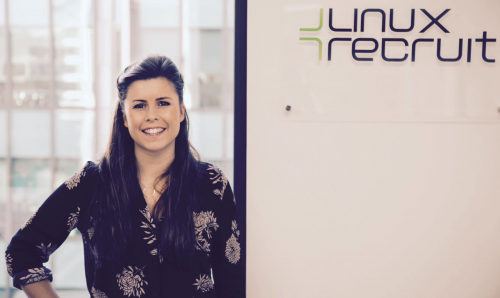 LinuxRecruit are a leading open source specialist and provides services as an agency and an employment business. I personally specialise in Scala, Java and Functional Programming, working with the top innovative companies in the UK, both large and small, helping build world class technical teams. I am also Organiser of Scala Central, a Meetup for anyone in the London area who is interested in the power and possibilities of the Scala programming language.